Is it ever smart to take on significant debt to earn an academic degree? Yes. But students and parents need to think like prudent investors and consider a number of factors when making college-related financial decisions. Take for example a young couple whom both carry student loans adding up to a total of over $1 million dollars. Even if the two both have jobs in the medical field with a combined income of over $600,000 it will likely take them over a decade before they are able to lift the burden of this heavy debt. And that doesn’t include expenses that come with starting a family if they decide they want kids or an unexpected cut back on income if one of the partners is forced to work fewer hours. All of a sudden these major life changes make monthly loan payments look ominous and impossible. Many students and graduates have the same sort of issues that this couple faces and just how much weight student debt can have on your life and your finances. The class of 2016 college graduates carried student debt averaging $37,172. The average graduate school debt is upwards of $30,000 for a master’s degree and could be upwards of $90,000 for law, medical or another professional degree. How Will This Degree Pay Me In the Future? For many, college is more than just earning an academic degree. It’s a place where young adults are free to figure out what it’s like to live on your own, learn new life, social and financial skills, make new friends, and learn how to develop a balanced social and work lifestyle. With this in mind, it is essential to weigh the costs and benefits when deciding where and how much to invest in higher education. A good practice to try is to compare your likely earnings in the field you want to pursue against the cost of earning that particular degree. It’s probably not a best to take on $100,000 in debt at a choice private school if you know you want to be a social worker or become a wildlife specialist. Why Do I Want to Pay for This Expensive School? To put this into perspective, remember that college is a consumer product like any other. Some colleges have very strong well-known brands with many years of traditions and excellent marketing techniques. It is important to look beyond all this when choosing a college because the highest student loan debt most often accumulates at private schools with very strong brands. But many public colleges and lesser-known private schools offer similar and even more education options and campus life for much less. A good tip to remember is that college is all about what you put into it, both inside and outside of the classroom. You may not be going to your dream school but with the right mindset, you can make the college you end up attending feel like home. Choosing a less-elite school might even enrich your college experience by providing more chances to shine. A lot of times, students tend to feel less confident about their academic abilities when attending a leading and reputable institution. Elite schools consist of all the high school students that were top of their class, which makes for challenging competition. Attending a public college may save you from unnecessary stress and pressure, providing you with a calmer route to success. How Can I Lessen Any College Costs? Scholarships! 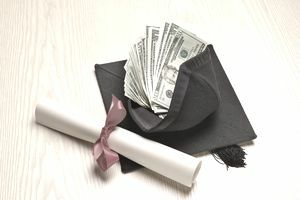 There hundreds to thousands of scholarships available to students at any income levels. A lot of students are unaware of these scholarships opportunities because they figure they are not eligible for financial aid. Research some scholarship opportunities in your area and ask your guidance counselor or mentor for any suggestions. Those who do end up taking on student loans also have some options for help. One great company to look into is SoFi.com which connects graduates with alumni (from the same alma mater) who are actively looking for a way to help reduce loan costs by reducing interest rates, sometimes lower than what a bank or subsidized lending institution can do. Make sure to spend a significant amount of time researching and considering where you’ll go to college and how you are going to pay for it because this effort is sure to pay off big time.